Thousands Oak, CA - The sheriff presiding over the investigation into a mass killing Thursday in Thousand Oaks, California, recalled his visit to a synagogue following last month’s synagogue massacre in Pittsburgh. 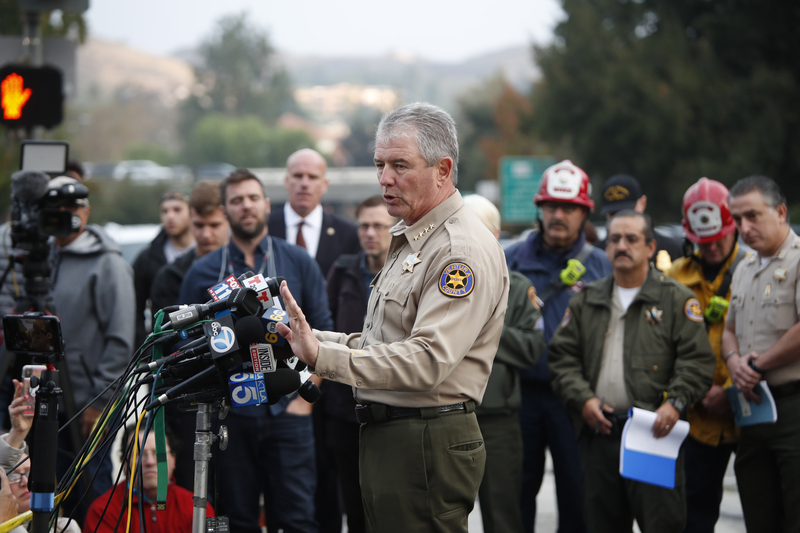 Ventura County Sheriff Geoff Dean spoke to the media Thursday after a gunman killed 12 people at a nightclub, including a police sergeant who was responding to the shooting. The shooter, a U.S. Marines veteran who was believed to be suffering from post-traumatic stress syndrome, was killed. No motive is known. It’s not clear which rabbi Dean was referring to. The Tree of Life rabbi, Jeffrey Myers, since the shooting has called repeatedly for a tamping down of vitriol.